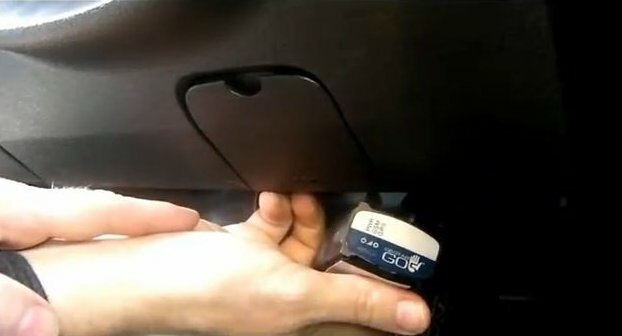 This HOW-TO tutorial is to demonstrate how to install the cable connection between the GO5 Geotab GPS device and the power source of your vehicle. 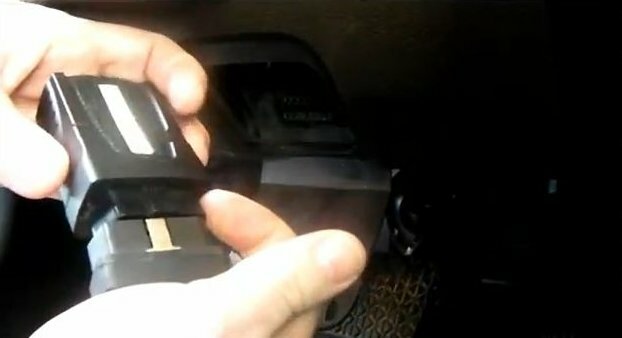 Begin by finding the engine diagnostic port on the vehicle, which is where the device will be connected to for power. 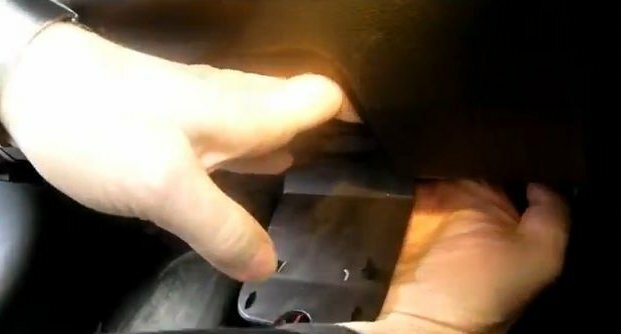 On some vehicles, such as in a Ford [as in example], the port is located within a small compartment under the driver dash. The G05 will be connected to the engine diagnostic port using a ribbon cable. This cable will have been included in your G05 package. Connect the ribbon cable to the GO5 device. For connecting the cable to the vehicle, you may have to go up and behind the compartment as to where the port is located to the feed the cable in discretely from the back. Once the cable is connected to the vehicle and the device, you should heard 3 beeps from the GO5, meaning it is receiving power. 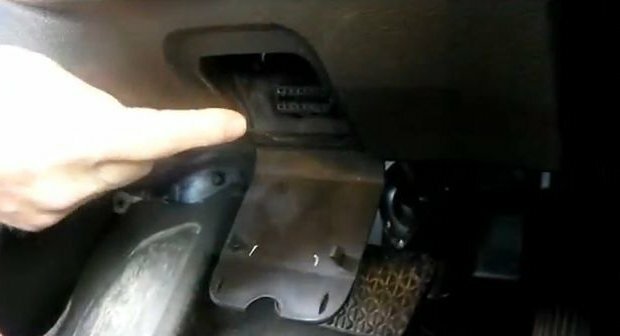 You can now stick the G05 device to a flat surface on the underside of the driver dash using the velcro sidings which were included. Ensure that the surface you are installing it on is dry and clean.